Click individual pictures for larger view. Hand crafted blue leather Mary Jane Flats with pointed toe and Glass Seed bead closure. One of a Kind. 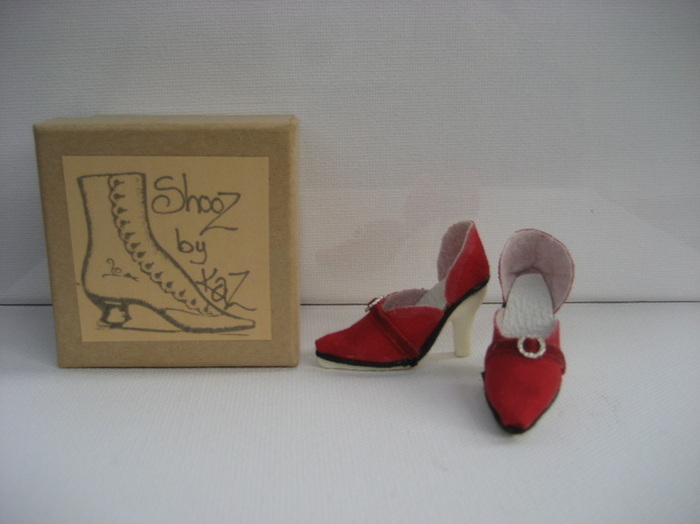 Shoes will also fit Madam Alexander Alex 16" dolls with flat feet. Short Boots with Black laces for High Heel foot Tyler and similar 16" dolls. Real leather with snakeskin pattern on a Handcrafted resin Base. 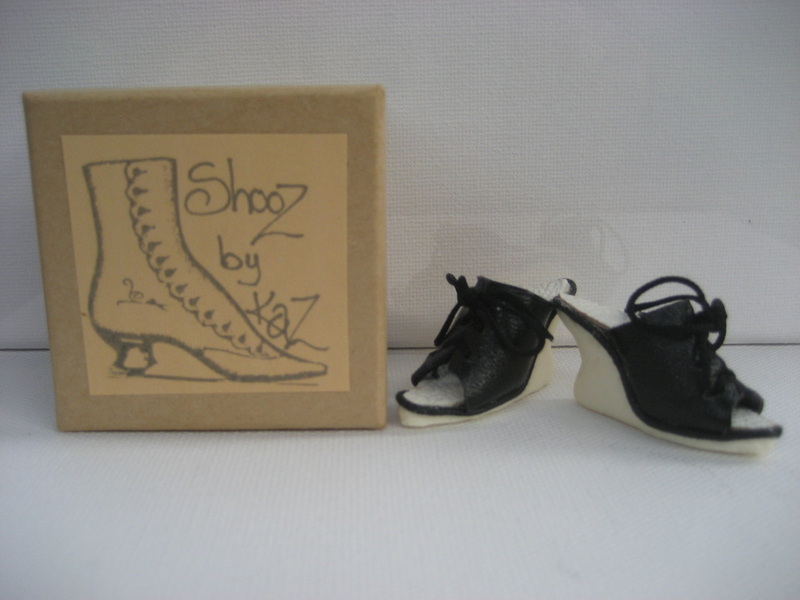 Black leather mules wedge heels to fit Ellowyne and Antoinette 16" dolls. Soft leather boots with black laces and on a Handcrafted resin Base. Black and grey leather mules on Wedge Resin Base for Ellowyne or Antoinette with eyelet detail for a funky twist. Red Cotton Pumps with silver buckle trim for Tyler, Sydney etc 16" dolls on high heel resin base. 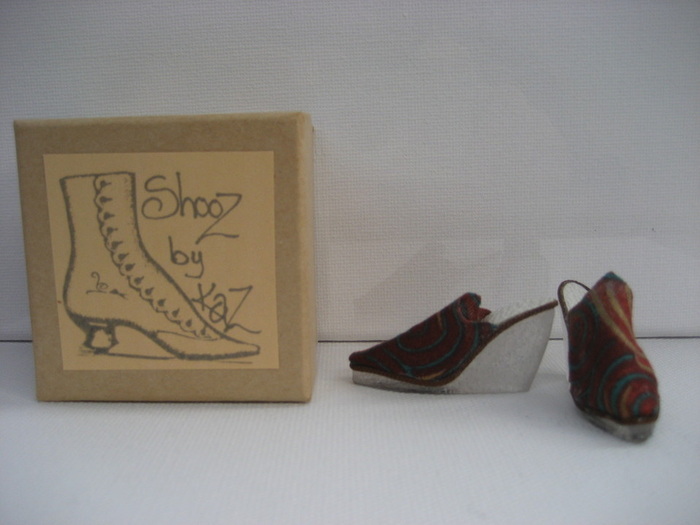 Clear resin wedge heels with retro style fabric to suit Ellowyne or Antoinette.